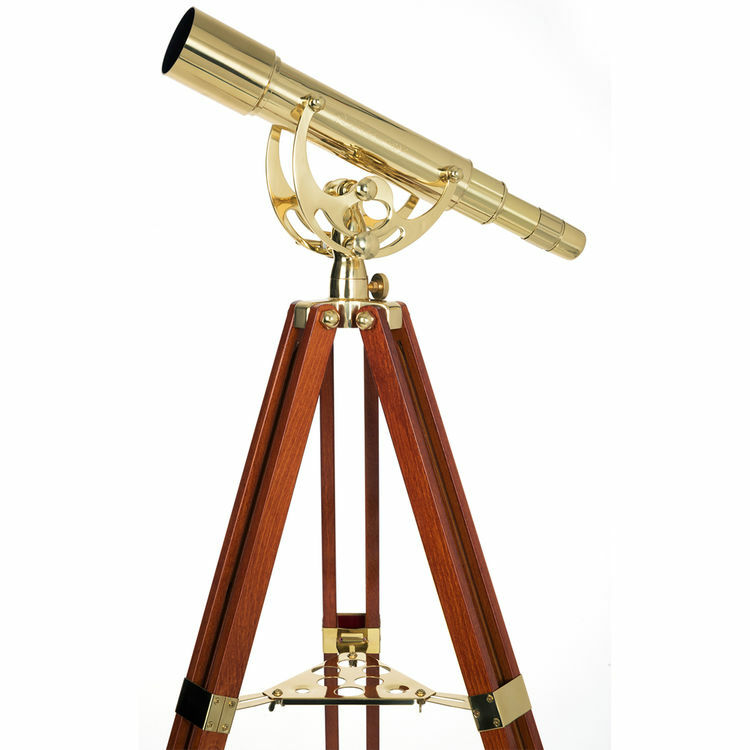 Harkening back to the days when sailing ships ruled the waves, Celestron's Ambassador Executive 50 15-45x50 Brass Telescope is designed with vintage nautical styling and modern glass and coatings to make it as elegant as it is useful. 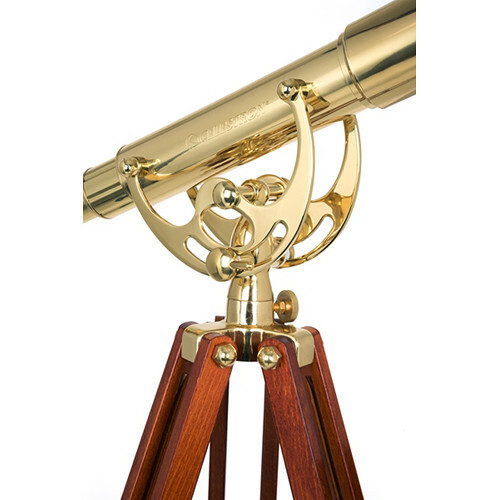 Built with a polished brass optical tube and mount and a mahogany tripod, this telescope is an ideal accent to any room and a certain conversation piece, that is also extremely functional. 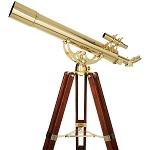 The telescope is equipped with a factory-installed 15-45x zoom eyepiece, anti-reflection fully coated optics, and an integrated erecting prism to allow its use for both celestial and terrestrial observations. 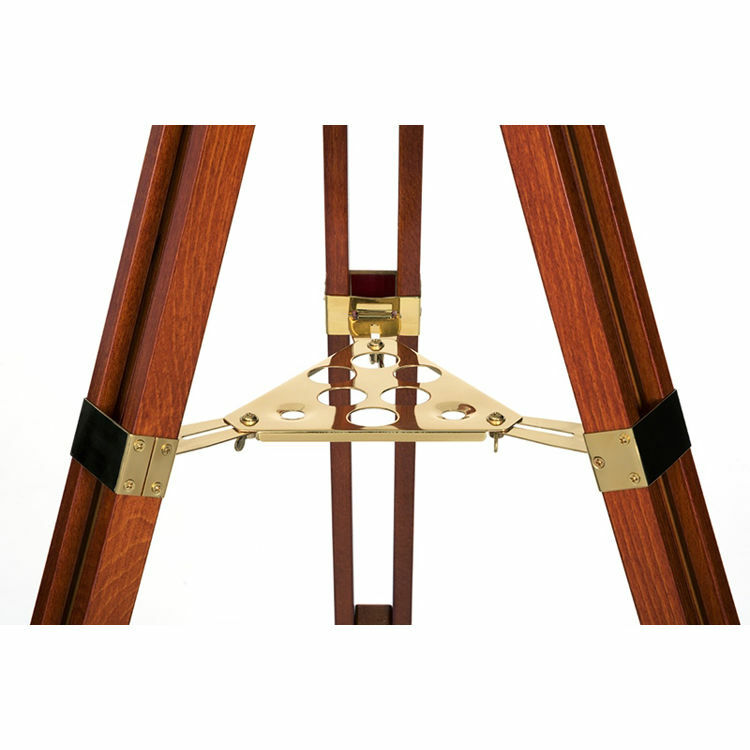 A manual cradle-style alt-az mount is simple to use and makes finding and tracking objects easy. 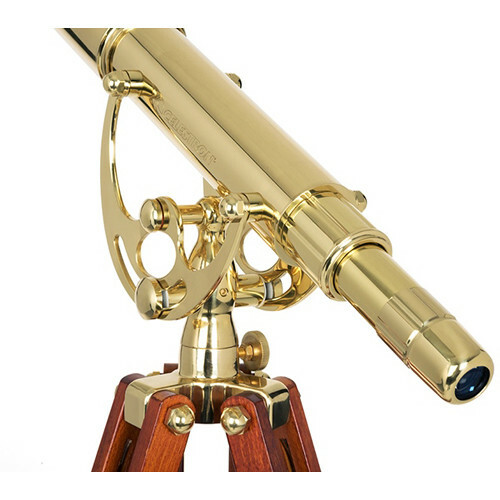 A helical focuser gives the scope a streamlined look by replacing focusing knobs and bulky focusing mechanisms with a simple twist collar located forward of the eyepiece. 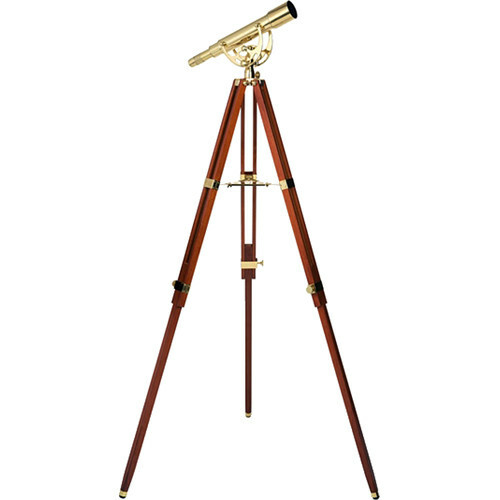 The beautiful mahogany tripod, featuring brass details and accessory tray, adjusts in height from 39-62" so just about anyone can use it standing or sitting. Footprint, Fully Extended: 34.0 x 29.0"
Footprint, Fully Lowered: 21.0 x 19.0"
Box Dimensions (LxWxH) 36.5 x 11.25 x 10.75"